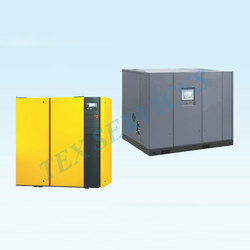 Prominent & Leading Manufacturer from Coimbatore, we offer energy saving in compressors. Energy saving 15 - 25% based on air demand. Meets the exact demand with optimized air supply. Reduced starting current with less KVA demand. Smooth start/stop - increased mechanical life. By minimizing the pressure band, power consumption is reduced with higher system stability.